This post takes a departure from describing the world and instead focuses on what it is like to DM this world. This is a huge topic, so I will concentrate on two aspects that can be particularly important for the campaign world: maintaining the sense of Athasian uniqueness and achieving an appropriate challenge level. One of the hardest aspects of DMing a unique campaign world is that everyone wants it to feel unique. The DM wants it unique, the players want it unique. And yet, when you play past a few sessions, it is surprisingly easy to have it feel like the PCs are just crossing terrain, just speaking to an NPC, or just fighting in some place. How can you keep the Athasian feel without running yourself ragged or repeating yourself?The technique I like to use is to prepare two unique aspects for each session. You can go with more, but it is usually better to try to have two really memorable aspects (where you go into something in depth and leave a real impression) than to have more but explore them in only a very shallow way. Here is an example. We might be traveling through stony barrens, with the point simply to be to get from one place to the other. We could describe a lot of things, such as color striations in the rock, the pebble-rich sand, the dust-filled sky, or different types of plants. And, in fact, it is good to do that. However, an idea for more depth could be to single out a single type of plant and make that unique to that area (and make a note of it in your campaign notebook or other tracking device). Maybe there is a tiny barrel cactus that is a dark grey and covered with stubby thorns. Making some nature or history checks, the party learns that the cacti are very dangerous to mounts, because they can easily be covered by wind-blown sand, acting as caltrops. On the positive side, they are often desired by merchants because after a rain they put forth a bright yellow flower and a shriveled brown fruit that is very nutritious. The flowers are also collected and are popular with nobles in the closest city-state. This might lead the PCs to ask about when it last rained, to seek some that have fruit, and even to dig up a few (even without fruit) to sell them to merchants. At the simplest level, such detail gives variety to what would have been a routine trek, provides an opportunity for discussion and role-playing, and creates a bit of lore for your world. At the next level, you can make this part of your living campaign. For example, you might at their destination have the NPCs respond positively if offered some of the fruit/cacti. Or, perhaps next time in the city-state they see a noble wearing the flowers and recognize them. It all adds up to making Athas very unique. The best part is that a lot of this you can just make up as you go. Make a few rough notes on the two things you want to introduce and some ideas, then feed off of your players. You might have an idea of a type of distinctive clothing with plans to show it later on in other sessions. Then a player asks if they can buy that type of clothing, leading to an encounter with an NPC weaver/tailor (which might further the adventure) and perhaps a bonus to skills interacting with people from that area. You may be surprised at how this technique adds up over time to create a very interesting campaign world. Sometimes one of the elements won’t receive much attention, but usually one of the two will help make Athas memorable each and every time you play. Another challenge with running a Dark Sun campaign is maintaining an appropriate challenge level. Like an Athasian arena, you want a lot of blood on the sand. You want the feeling that no matter what, the PCs are in a brutal world that could swallow them up at any moment. With such dangerous environmental conditions and with beings like Sorcerer-Kings, gargantuan drakes, and massive elementals, your PCs should always be worried about surviving. But, if we look at the DMG, there is a stated challenge level. For reasonable play, you want to periodically give the PCs easy encounters, encounters at their level, and then every now and then a challenging encounter that is a couple of levels above their average PC level. 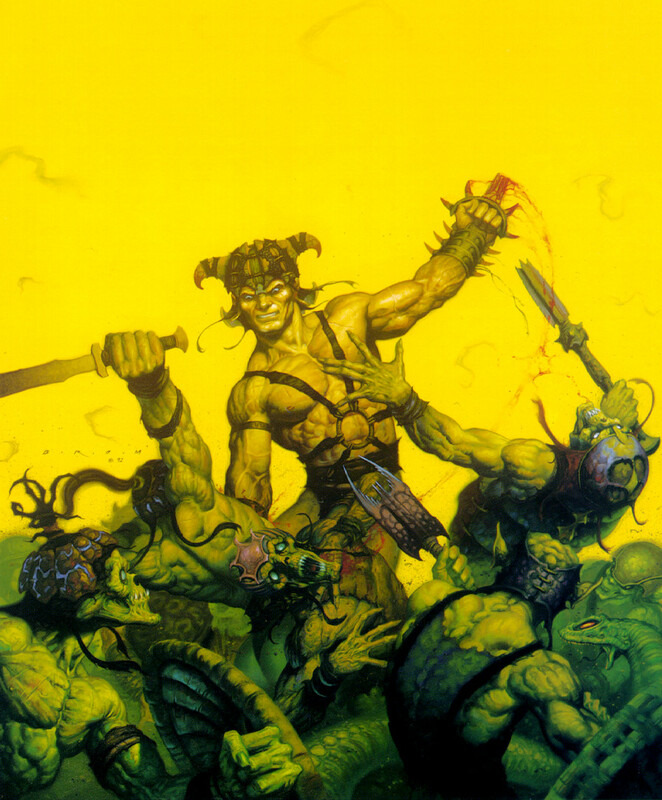 Now, sure, we can push that a bit for a Dark Sun campaign, but at some point we are just making the players suffer – after all, the guidelines for reasonable play exist for a reason. Players want to feel like their PCs are heroes and they want to win. They don’t want to die every other encounter. A quick look at the D&D Encounters forums will demonstrate how unhappy players can get when they fell the game is unfair. The trick is then to angle for fair brutality. It should feel brutal but always fair. There are a couple of ways to achieve this. 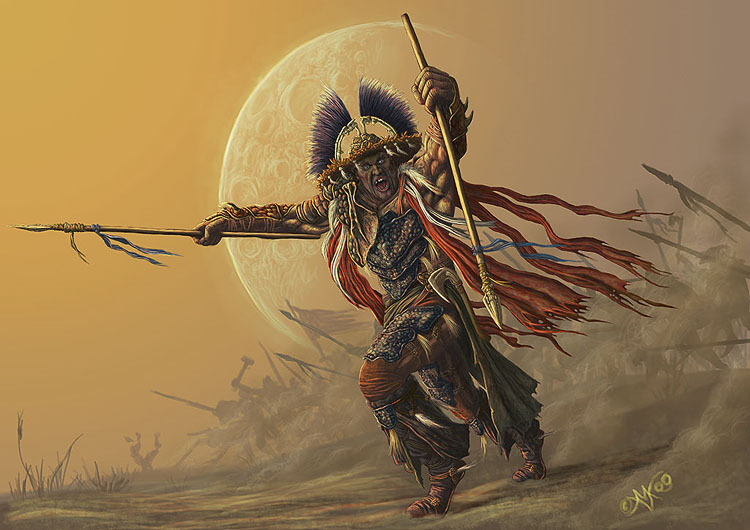 For reasons of rules balance, the Dark Sun PCs are not significantly stronger than their non-Athasian counterparts. Sure, they get an extra encounter power via a Theme, but the second edition DS PCs had huge ability, class, and weapon specialization benefits and started at 3rd level. On Athas, just as you might look to design the encounter to be difficult, look for ways to make it easier. You might increase the level of the encounter by two, but then add a cactus that only the PCs know would deal damage and ongoing poison if a foe was pushed against it, plus ruins that one PC could jump off of in an acrobatic stunt to get combat advantage and a bonus to damage (only once, the ruins crumble after that and become unsafe). When the PCs are finished, they find a cactus that replenishes a lost healing surge with a moderate heal check. Experimenting with D&D Encounters, players seem to really like having ways to renew resources, spend big powers more often (and regain them), break weapons and get new ones, use terrain to pull off cool stunts, and find things in the wilds that can boost or renew them. It all makes the high challenge level seem manageable, and can be more fun than lowering the challenge level to normal levels. Plus, it is more imaginative! In fact, you can combine the idea of something unique to Athas and make it something that also renews the player. For example, a player wearing the clothes local to the area might be able to make a bluff check as a minor on their first round to gain combat advantage as the foes are not sure if the PC is on their side. One way of making the world seem meaner is to provide some sources of constant damage more often. The rain of obsidian shards in D&D Encounters is a fantastic example, but more mundane ones are fine. Maybe the ground is littered with cacti that cause damage when stepped upon or brushed against. Maybe the sands are literally burning hot. Maybe swirling winds blow things around, causing low constant damage. The point is to have everyone taking a little damage. Even a very low amount, such as 2 at heroic or 5 at paragon, can be send the signal of how the world is constantly out to get you. These can also be excuses for skill use. Maybe the sands are incredibly hot, but there is a barrel storing precious water. Any PC can use athletics to knock the barrel onto the sands, cooling them. Maybe the ancient tomb has unearthly cold, but the spirits can be appeased if PCs make a group religion check (each using a free action on their turn). This concept of being small fish in a dangerous pond can happen in many ways. PCs in an arena have no chance to fight their way out, so they must win their freedom. PCs fighting templars can’t possibly kill them all – they need to win this fight and run. Defeating an entire slave tribe is difficult. Etc. This knowledge should generally be freely given and should help establish a unique feel to the campaign. In Greyhawk the PCs might kill some elven thieves and be done with it. In Athas they find the elven merchants will no longer trade with them – something they need to progress. Now they may want to appease them, performing an act for them to regain their trust and complete the trade for the item they seek. The trick is to make this fun, but not to block the PCs. The PCs should still feel they have choice, should still feel they have room to operate. For example, they might choose to work with templars who would like to deal a blow to the elven merchants and steal the item they need… Regardless of the choice, they know they are dealing with powerful forces and that should be a fun tension. The corollary to this is that they should be able to prove themselves. As they rise in level they also rise in stature and gain recognition and respect. There may be many more powerful organizations and creatures, but they give them some respect and treat them differently in many cases. There you have it. Two broad tips for being a better Dark Sun DM. 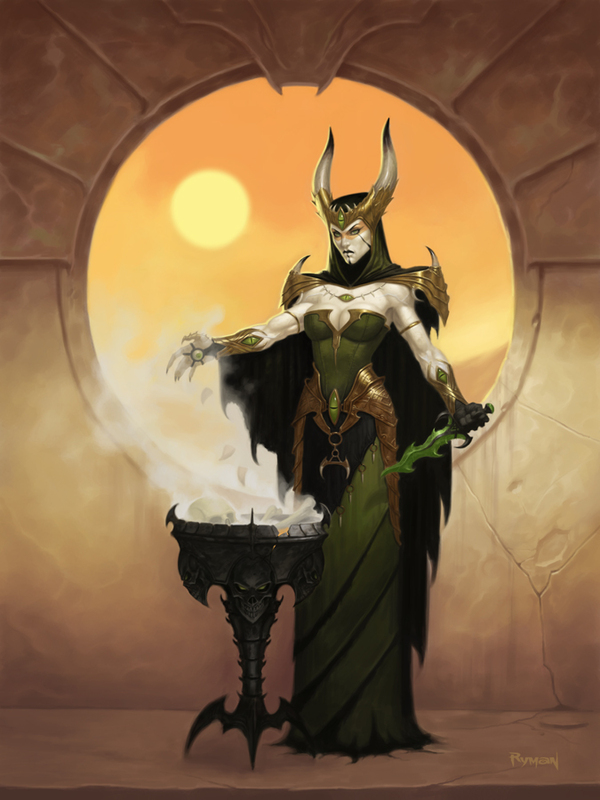 Give them a balanced but brutal-feeling challenge and give them two cool unique aspects of Athas every session. 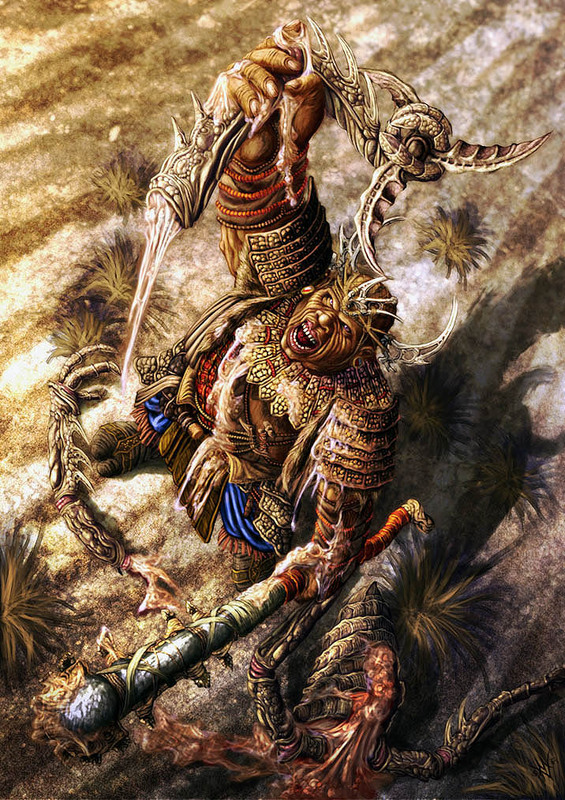 Now I turn it to you – do you have any broadly applicable tips for DMing Dark Sun effectively? I would love to see readers comment or blog responses. Next: We will return to lore and take a look at the major organizations on Athas. Templars, nobles, Veiled Alliance, and more! This entry was posted on October 2, 2015 by Alphastream and tagged 4E, Challenge Level, Ecology, Setting, World-building.